Past 3 to 4 years haven’t been that exciting for gold. In fact gold has surfaced to the current $1300 an ounce, a level that was previously seen 6 years ago. Gold has been trading in a tight range for quite some time. Gold is an investment that people prefer when the times are uncertain. It’s not a type of investment that can be left to itself. There are times that are just right to enter the market. People buy at dips and try to make the most of every opportunity to buy gold. Physical gold also has a very high liquidity which again increases its appeal as an investment asset. Today we are in a position where gold is liked more as a hedge tool, an asset that gives you protection against uncertainties. And this characteristic of gold helps in keeping its prices high when there is a global crisis. In fact many are even switching over from equities to gold. Though the first half of 2018 was dull for gold, it did gain momentum in the second half. 2018 on a weekly chart produced 2 clear trends, and some pretty nice ones at that. We started the year flat, and then had a bear trend from May to October, then a nice rally taking it up. If we’re just holding gold all this time, this really won’t matter, but gold still moves and we can’t call it a complete dog over all this time, even though it’s been one from a longer-term perspective. This year too, till date gold is up 2% and is expected to rise further given the factors that will influence the yellow metal and create bullish sentiments in the market. Since the high of February, with each lasting a week or two, gold is producing some pretty well-defined moves, including the current upward one. But just by seeing the current trends it won’t be possible to exactly predict a future upward movement. We need to consider the past too. We at least need to preface this by mentioning the current bull move with gold, and you won’t really discover that by just looking at its year to date, you have to go back to the beginning of the current move in October. It’s not that we can go back in time and buy some then, but if we’re looking to predict a future up move, we need to at least account for how much we’ve moved up thus far. The number in play here is $1184 an ounce, the low last October 1. This is also around the time where the stock market started to sink, and when money started to flow out of the stock market more, with some making its way into gold. We’ve been able to sustain a move of 10% through the subsequent stock market rally, so while the bearish turn with stocks may have given us a push forward, the better performance of gold involved more than this, perhaps our looking to recapture the amount that the market oversold it by earlier in the year. This is what makes us say that gold is expected to rise further. For 6 years now, gold has been unable to move up much past where it is now. This doesn’t mean that it won’t happen. 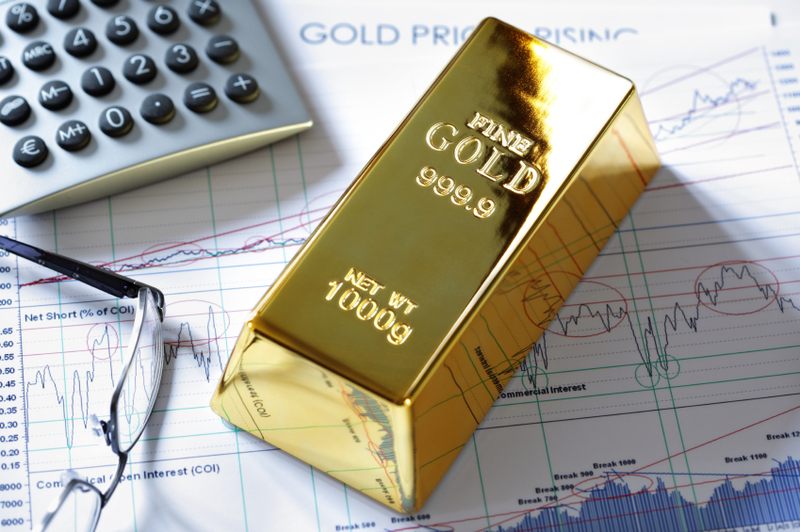 A weak US economy, Fed policies, US China trade war, Brexit, piling gold reserves, bearish stock markets are some of the many key influences that will cause a wave in the market and bring about a rally in gold price.